Everything you need to successfully walk a marathon: History, technique, physiology and training, plus information on dozens of the world's most walker-friendly marathons. 210 pages in 26.2 (of course!) chapters. —Tom Dooley, 1968 and 1972 Olympian, and Leukemia and Lymphoma Society of America National Coach. “If you've ever considered participating in a marathon but worried that you weren't quite up to the task, it's time to put your fears to rest. 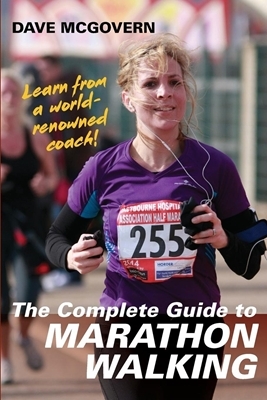 With endurance expert Dave McGovern's supportive and insightful coaching you'll be on your way to completing a marathon in no time! 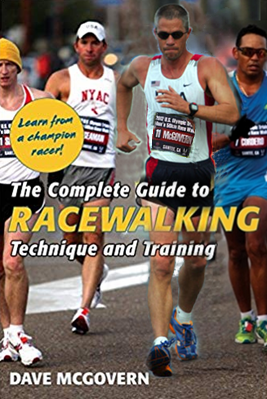 Dave has been a racewalking guru for the better part of 35 years. With over 14 US championships under his belt and years of experience as a private coach to several Olympic athletes, he has the know-how and expertise to help you achieve your fitness goals. Ask about discounts for multiple (more than 10 copies) orders. *For each additional book add $1. *S&H to Canada is $5. *Overseas S&H $10—up to 4 books can be shipped for the same $10! 41 chapters—over 220 pages in six sections: Technique; physiology and training; psychology; "other stuff you need to do" (stretching, drills, weights, etc. ); competition; and "loose ends" (miscellaneous stuff like tips for youth and masters walkers, advice on shoes and nutrition, etc. ), plus special sections written by 15 U.S. National Racewalk Team members giving you their insights and opinions on racewalk technique and training.